program. A final barrage of puns . . . and Eddie and his stooges say “Good-bye” until another Sunday. Then . . . quicker than you can say “Parkyakarkus” … a flick of your fingers twirls the Philco Automatic Tuning Dial to another station for a rapid-fire review of the news. No need to wait to hear if you are sharply tuned. 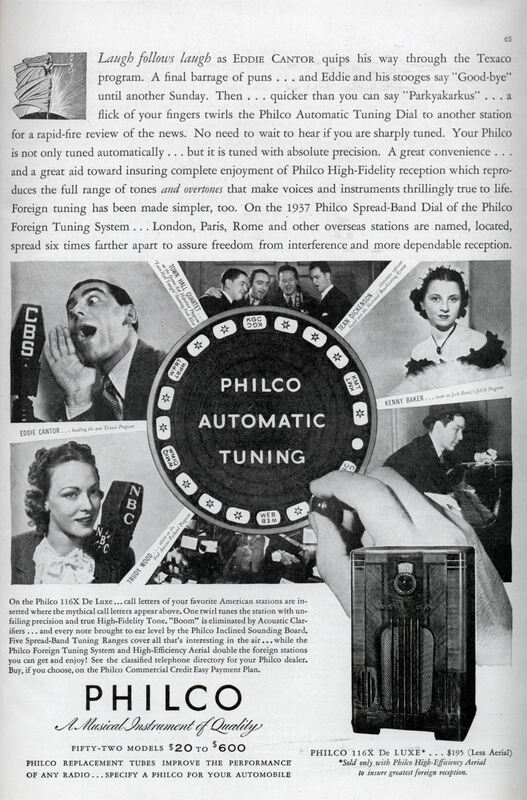 Your Philco is not only tuned automatically . . . but it is tuned with absolute precision. A great convenience . 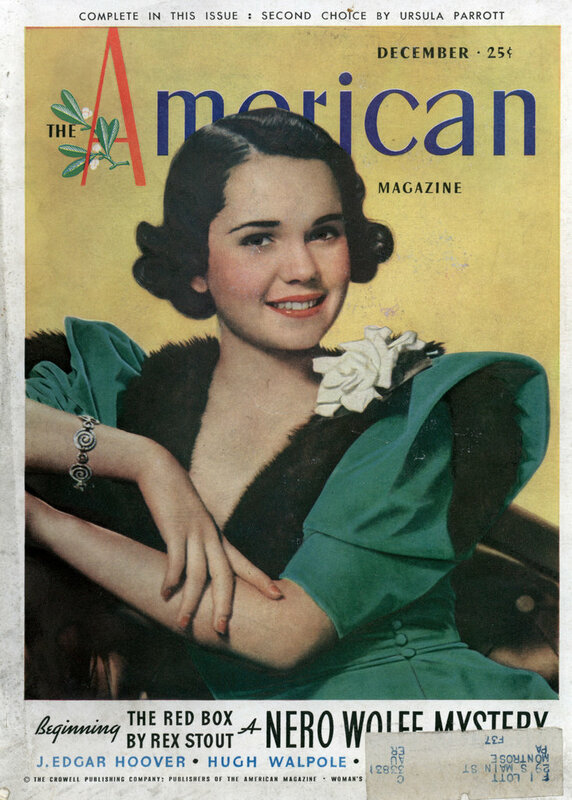 . . and a great aid toward insuring complete enjoyment of Philco High-Fidelity reception which reproduces the full range of tones and overtones that make voices and instruments thrillingly true to life. Foreign tuning has been made simpler, too. On the 1937 Philco Spread-Band Dial of the Philco Foreign Tuning System . . . London, Paris, Rome and other overseas stations are named, located, spread six times farther apart to assure freedom from interference and more dependable reception. On the Philco 116X De Luxe… call letters of your favorite American stations are inserted where the mythical call letters appear above. One twirl tunes the station with unfailing precision and true High-Fidelity Tone. “Boom” is eliminated by Acoustic Clarifiers … and every note brought to ear level by the Philco Inclined Sounding Board. Five Spread-Band Tuning Ranges cover all that’s interesting in the air… while the Philco Foreign Tuning System and High-Efficiency Aerial double the foreign stations you can get and enjoy! See the classified telephone directory for your Philco dealer. Buy, if you choose, on the Philco Commercial Credit Easy Payment Plan. They had the WEB in 1936?